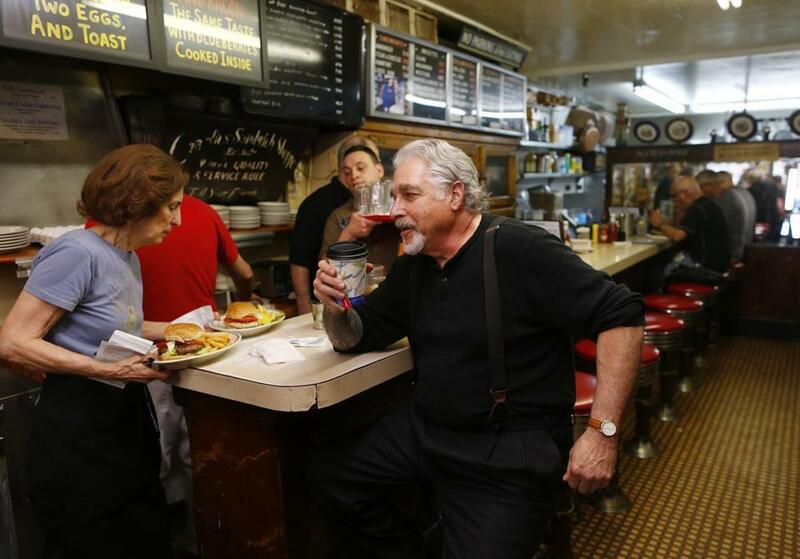 On June 27th, 2014, the venerated Boston breakfast spot Charlie's closed its doors after 87 years in business. It was my father's favorite restaurant. He had been going every Saturday morning without fail for nearly a decade. When they closed, he didn't know what to do with himself on Saturday mornings, both gastronomically and spiritually. Charlie's was the kind of diner where the waitresses knew your order, customers sat in the same seat every time, regulars got preferential treatment (including someone to watch out for your illegally parked car), the food was unpretentious, and the coffee excellent. To be honest, at first I didn't understand Dad's attraction to Charlie's. He had never had a local bar that he went to, so this must have been some kind of replacement? The customers generally sat alone, except for the tourists. Their most famous dish was the Turkey Hash, which to me sounded more gut-busting than Scrapple. The tables were topped with linoleum, the muffins dense and sugary, the lighting fluorescent. The hash brown potatoes, though delicious, were fried in oil for several hours on a cast iron skillet and would make my stomach ache throughout the remainder of the day. My Dad's favorite dish of theirs was the cheese omelet, which to their credit was light and fluffy and finished under the broiler though filled with orange American cheese. The last day I visited Charlie's with Dad in mid-May, I think I got it. I was watching the two brother-owners work, Chris and Arthur Manjourides, who had inherited the business from their own father. As Chris plated an omelet, Arthur scooped a serving of hash browns down onto the plate silently and like clockwork. My pancakes took on a new meaning as I realized the sweat and toil that had gone into this place, that Arthur and Chris were simply trying to serve the people of Boston honest food in a comfortable place. After that morning, I had thoughts of frying eggs and making Babka French Toast on Sundays for our Ninth Street customers. Maybe someday we will get there.